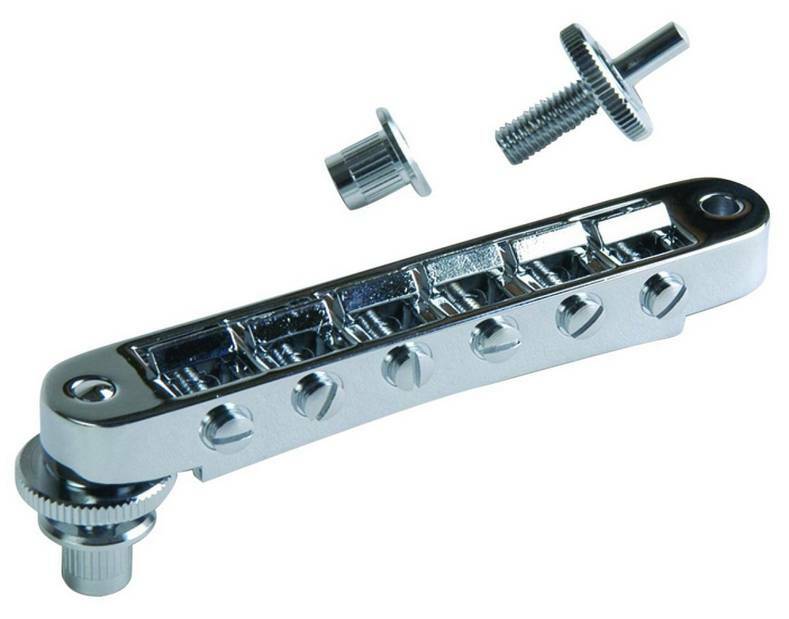 The Gibson Tune-o-matic bridge remains one of the most revered and copied pieces of guitar hardware ever developed, and the Nashville Tune-o-matic bridge offers un-notched saddles with individual saddle screw retainer clips, and a wider footing for increased intonation range. 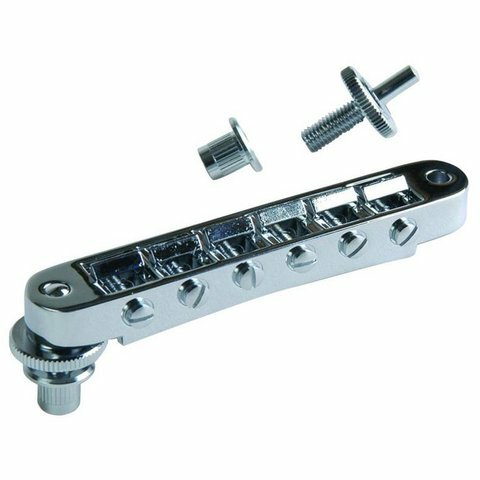 The stud and thumbwheel are also cast directly onto the bridge, allowing the Nashville Tune-o-matic to slide directly into place. This OEM part is available in either Chrome, Nickel, or Gold finish.